This article was originally published on November 1, 2010, in the Shenzhen Daily. We often read that "Shenzhen was just a small fishing village" before 1980. But just before 1980, it was actually a string of such villages along the coast. 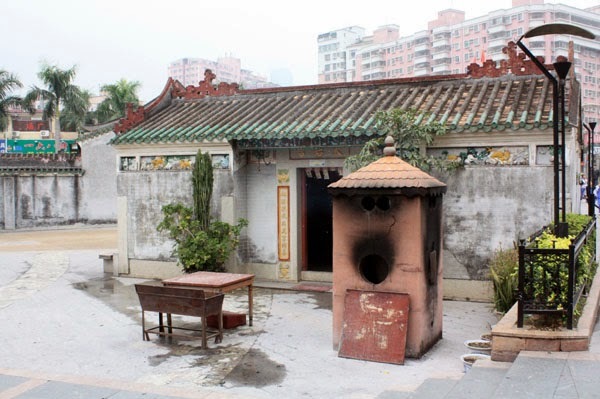 One of these is Shangsha Village, one of the many settled by Shenzhen's ancient and ubiquitous Huang family. She is on the central altar inside the temple. To her left (as we face her) is Kui Xing, the demonic-looking assistant to Wen Chang, the God of Literature. 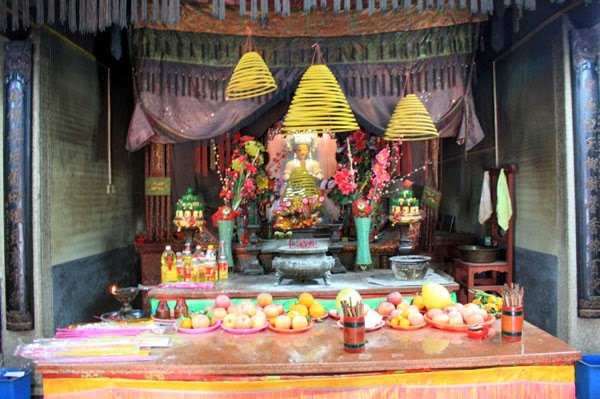 Kui Xing is the stellar Deity of Examinations; he is often petitioned by scholars before big exams. The exquisite statue holds a brush pen used to mark "pass" on examinations. 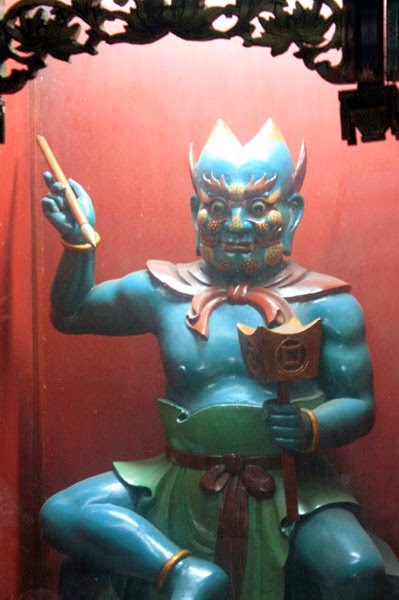 To Tianhou's right is Cai Shen, the God of Wealth, another extremely well-fashioned image. He holds an old-style gold ingot, symbolizing money. 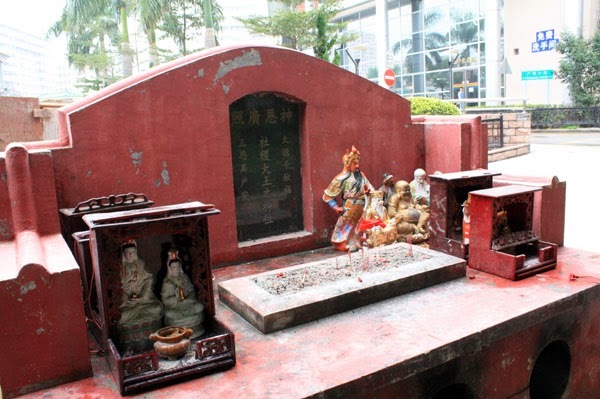 Aside from these altars and the one in the Huang Hall, there is one more, across the plaza. This is for Tu Di, the Earth God. Too low-status to be inside a temple, his platforms are often found outside and to the "southeast" (if the temple altar faces south). The Plaza also includes a performance stage and space for people to play and relax. The village lies just south of the intersection of Fuqiang and Binhe Roads in Futian.